You've probably noticed that our resident beer guru, Donavan Hall, hasn't been contributing to LENNDEVOURS much lately. Well, he had a good reason for that. 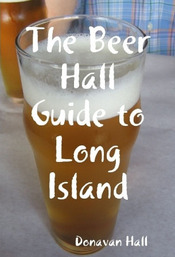 He was putting the finishing touches on The Beer Hall Guide to Long Island, one book that every beer lover on Long Island needs in his or her library. Donavan knows more about beer on Long Island than anyone I know. Plus, he's one heck of a writer, so no one is more qualified to write such a book. I haven't picked up my copy yet, but I will this weekend at the North Fork Craft Beer, BBQ and Wine Festival, where he'll be selling them. 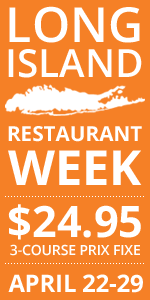 "This guide brings together the best that the Long Island craft beer scene has to offer. 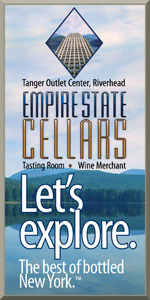 Anything listed in this guide is a top rated craft beer destination. All of Long Island's breweries and brewpubs are listed, as well as the top taprooms and beer stores. Each listing is accompanied by an informative (and entertaining) article. By writing this beer guide, Donavan hopes that craft beer enthusiasts will learn more about the incredible and growing beer culture here on Long Island, and that you might find out about a place or two that you haven't visited yet. In addition to covering all of the best breweries, taprooms, and beer stores, you'll find information about amateur craftbrewing and about how to become more involved in local craft beer culture. Donavan Hall regularly writes about beer, brewing, and pub culture on The Beer Hall. He is also the voice of Radio Beer Hall a twice monthly podcast about brewing and slow living." Congratulations on finishing the book, Donavan. I look forward to raising a pint or five with you the next time we meet up. You can buy the book over at Lulu if you can't make the beer festival this weekend. Thanks, Lenn! See you on Saturday. Sweet! I can start buying Christmas presents for people in August! Looks great! Love to get one for Big Daddy, who likes to brew a batch once in a while.